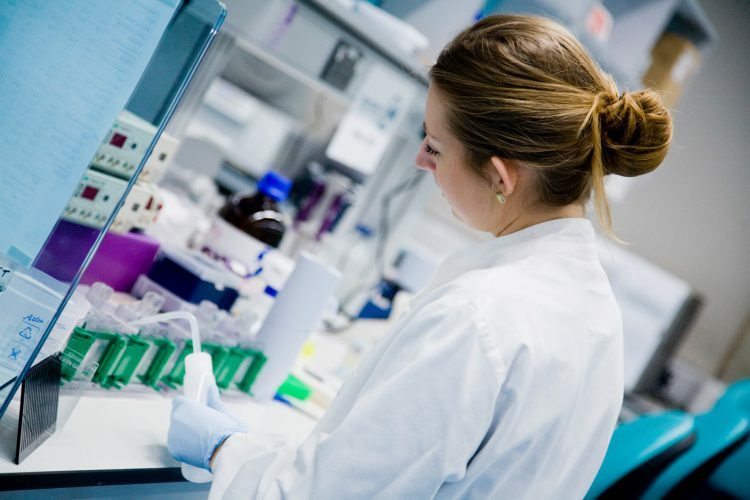 Norfolk’s cancer charity Big C, has announced major grant awards for cancer research and equipment projects taking place at the Norwich Research Park, totalling over £280,000, which brings the total to over £1 million awarded by the charity over the past three years. Over that time, institutes across the Norwich Research Park have benefited including UEA, Quadram Institute Bio Sciences (formerly Institute of Food Research) and Bob Champion Research Education Building across schools including School of Medicine, School of Biological Sciences, School of Chemistry and School of Health Sciences. This grant round marks Big C’s first award to a project involving the John Innes Centre. The project is a collaboration with Norwich Medical School at the UEA. Breast cancer affects 1 in 8 women in the UK and is a leading cause of cancer mortality. Its incidence is rising, potentially due to increasing population age, but also due to the effects of diet and lifestyle. Data from large-scale population studies indicates the benefits of diets rich in plant-derived compounds but experimental data on how these offer protective effects has been elusive. Recent work of Drs Stephen Robinson and Lindsay Hall at the Quadram Institute is looking at the role of the microbes that reside in our digestive systems in relation to the development of breast cancer. Co-applicant Professor Cathie Martin at The John Innes Centre has generated a suite of experimental tomato strains enriched to produce specific molecules that are thought to be responsible for the health promoting properties of certain plants and the things we produce for them e.g. red and purple berries, red wine and soy. Diets based on these enriched tomato lines have been shown to influence the gut microbiota ecosystem and reduce the symptoms of inflammatory bowel disease. Other awards cover projects researching the role of ageing bone marrow environment in relation to acute myeloid leukaemia (Norwich Medical School, UEA), an investigation into the gut microbiota and how bacterium adapt to the tumour micro environment in relation to bowel and colon cancer (Quadram Institute) and a pilot project Shoulder to Shoulder: Walk and Talk which researches the benefits of a walking group used as a way of talking about health and topics which we know could prevent cancer (School of Health Sciences, UEA). An equipment grant has been awarded towards research equipment which will provide high resolution and fast live time-lapse imaging of fluorescent-tagged protein in cancer cells (School of Biological Sciences, UEA) and funding awarded for a waiting room information screen at the Colney Centre, NNUH.